Sitting through demonstrations and trying to decide which solution is the best. It’s like buying running shoes – without trying them on, you do not know if they are comfortable and supportive before you know your own physiological needs. With this approach, always the most expensive looks the best. What to do instead: Try them on and go for a short run; then you’ll know if they are the running shoes for you. 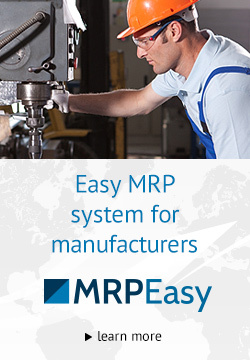 Many ERP/MRP software offer easy to access, live demo systems, which you can use with simple test task for figuring out how and if the solution actually works for your company. Buying something because it looks good and makes you feel good – you have a temporary problem or setback in an area that could be patched by the purchase for now…hopefully. Anyhow, it makes you feel like you did something to fix the issue, even if it didn’t work. Often times when issues come up, the core problem is entirely somewhere else and patching the symptom will just make the issues pop up somewhere else. What to do instead: Try to understand if this problem is a real and important problem, or if it’s a symptom of something else. Setting the former as the goal is extremely common and often goes together with mistakes #1 and #2. What to do instead: Before going shopping, look in the mirror and map out the issues, analyze possible solutions and figure out and prioritize software system requirements. If you do not know where to start, contact a professional business consultant who can guide you. If you want it yesterday and do not have time to properly understand what you actually need vs. what is out there, or you imagine you will need it in 3 years, you are wasting your time and money. In the first case, there’s no time to make an educated decision. Likely, even if the choice is right, the implementation will still be rushed and problematic. In the second case, it’s just impossible to forecast issues that do not exist. What to do instead: Set aside a separate time for analysis, software search, software testing and implementation. It’s reasonable to expect that the whole process – if done correctly – can take up to several months (or more). You might have a realistic timeline, clearly mapped out and prioritized requirements, a budget and a project team, but if project managers do not have dedicated time – minimally 10-20 hours per week – set aside for this project for the 2-3 months, it’s just not realistic to succeed. What to do instead: Set aside for everyone involved a certain amount of time for making things happen. De-prioritize other projects – this is project number one, or it’ll bleed out slowly and fail. It is always a big temptation to let the office manager, accountant, assistant or intern search for MRP software. However, in their daily jobs, these folks have little contact with manufacturing issues. Therefore, they lack first-hand experience and may have a distorted understanding of the pain points. What to do instead: Searching for the software should be lead by an employee who will be implementation project leader and who is knowledgeable of manufacturing and organizational processes and preferably has previous experience with MRP systems and is personally invested in improvements. It is really important to test the software and not buy because it “feels right.” The functionality needs to be tested in real time – how it will actually work. The top match in a short list might not live up to expectations due to some unforeseen issues. What to do instead: Before making any long-term commitments, test and pilot the software that appears to be a great fit. 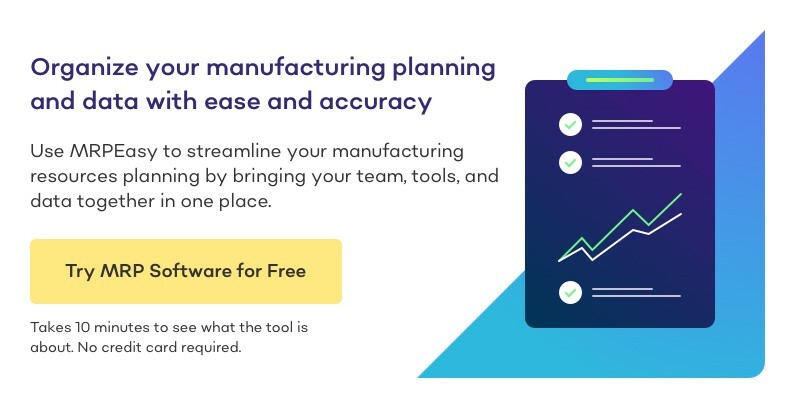 It is important to understand how MRP or ERP software can address the needs and problems of your manufacturing business. Then it’s important to find out which solution can fit your needs the best (none will ever fit 100%). What to do instead:First, compile a long list of software that, at first glance, appear to fit all your functional and other requirements. Send your most important questions. After, make a short list – choose what programs (2-3) you will test. Test them. By that way you will be able to define a real champion.